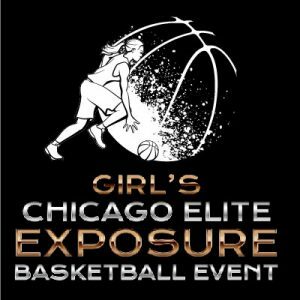 We will have elite girls and teams 7th to 12 grade from Illinois, Indiana, Wisconsin, Iowa, Michigan, Kentucky, California, Canada, Minnesota, Texas, Tennessee, Ohio and Nebraska attending. 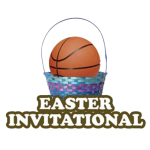 This is a NCAA Certified Event! Our basketball exposure camp will had major D1, D2, D3, NAIA and junior college coaches in attendance. Check out our photo Gallery. Pass THA Ball Media Service will be in attendance. What College and Universities Attended Last Year? Big Ten, Big East, Horizon League, American Athletic Conference, SWAC, Missouri Valley, ACC, Patriot League, Atlantic 10, WAC, Summit League, West Coast, Sun Belt, SEC, Ohio Valley, MEAC, Mid American, Ivy League, Conference USA, Mountain West, Ohio Valley , PAC 12 and Atlantic Sun. From full games to highlights, TapePlay keeps your team and athletes in front of college coaches after the tournament ends. To guarantee quality video at this tournament, order online now at videographer.tapeplay.com. Email video@tapeplay.com with any questions. July 6-7, 2016. Join us and play the entire weekend at the Chicago Summer Jam on July 8-10, 2016. $450 – Guaranteed four games. $350 – Arrange to only play two or three games. Please call us for details. You may play two games on either Wednesday or Thursday. Baylor Basketball is pleased to partner with Sport-Travel as our official Tournament Accommodations provider. All participating teams requiring housing for the tournament must utilize the services of Sport-Travel to participate in the tournament. Please book via the link below or contact Sport-Travel office at 1 800 304 6346 x 334 for all your accommodation needs. Click this web link to view the hotel listings.